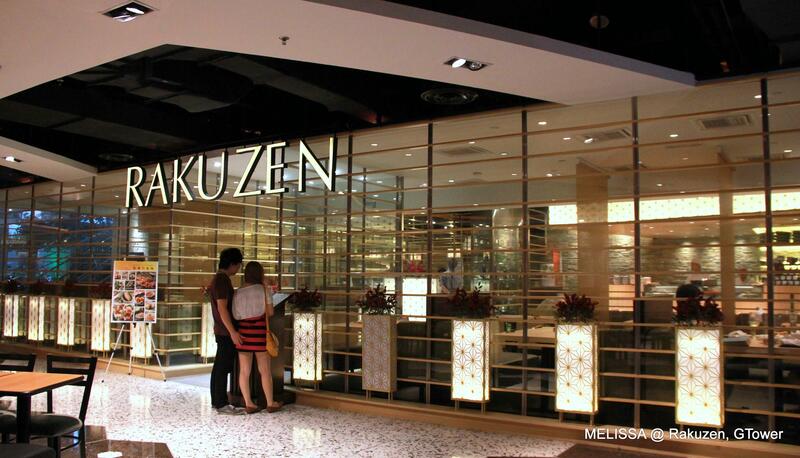 Rakuzen offers quality & authentic Japanese food. I noticed the expanding Japanese food over places in KL. 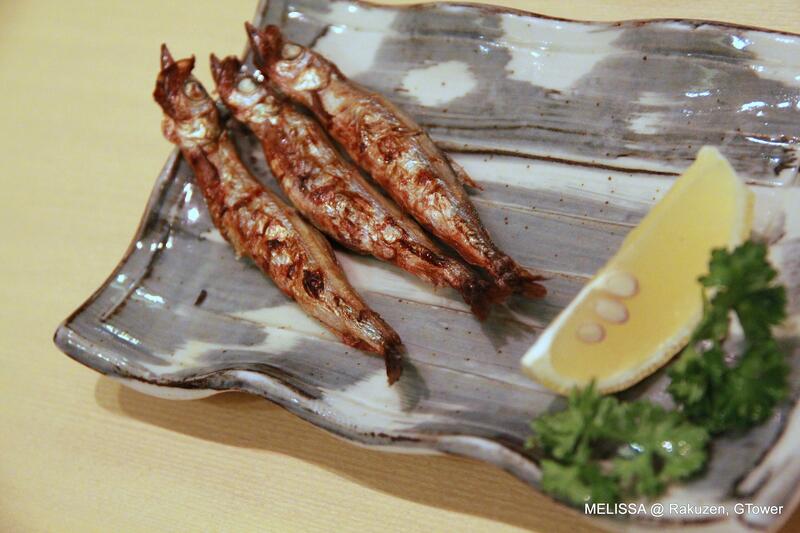 Rakuzen, Hokkaido Ichiba, Zen and Kura they are all under the same management (Super Dining) offering different range of Japanese food. I like the interior. Bright and cosy. The menu is pretty impressive too. 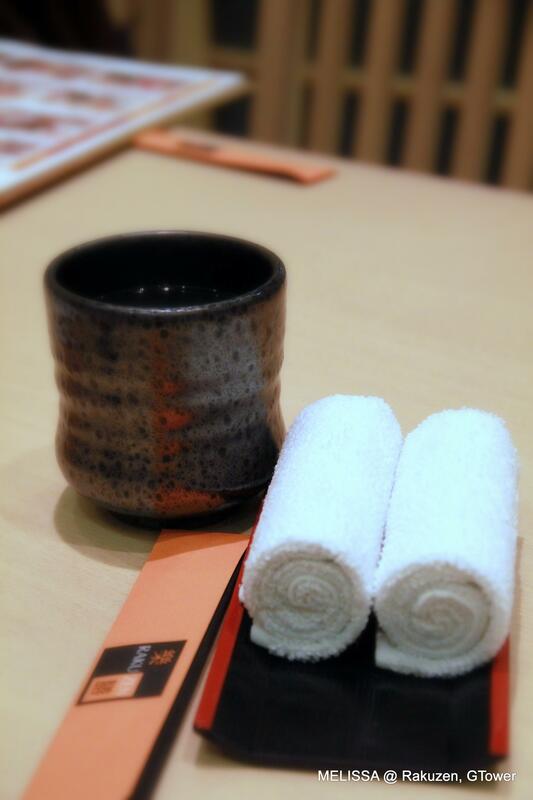 Offers an extensive selection from starter to appetizer and dessert. It may sound abit pricey. But you must try it to ensure the price is worth to pay. Because it taste different & much better compared to Sushi King’s. The egg was very smooth. Extra credits to the crabstick, shitake mushroom, chicken meat and prawns hidden beneath. Sorry, it was suppose to be 4 pieces. After eaten only I remember I forgotten to take a photo of it. For tofu lovers, you will like this. 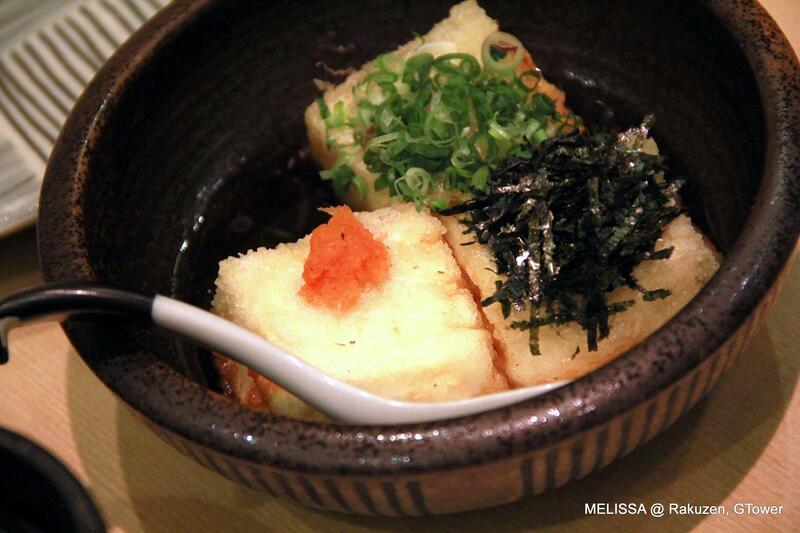 The tofu is very smooth with lightly crisp skin. I wanted something light. Therefore I ordered this. The serving was so big that I couldn’t finish (dunno what’s wrong with my stomach that day). 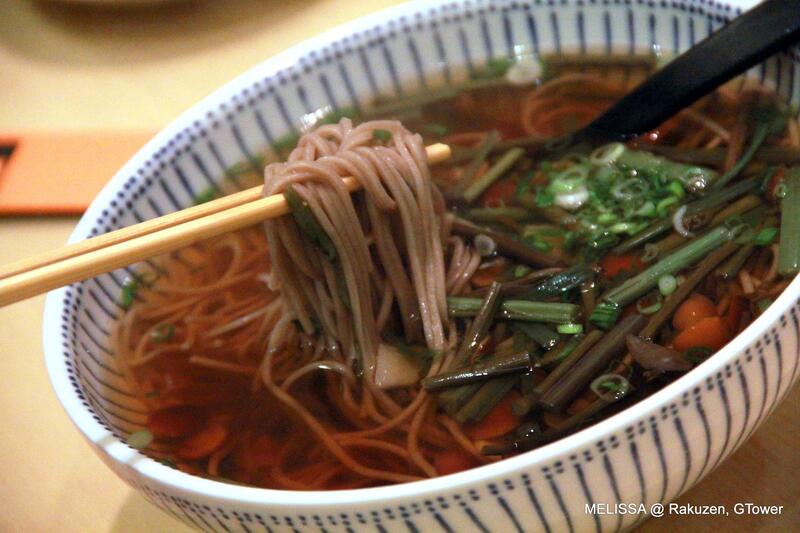 This wheat noodle was nicely cooked with flavorful soup. 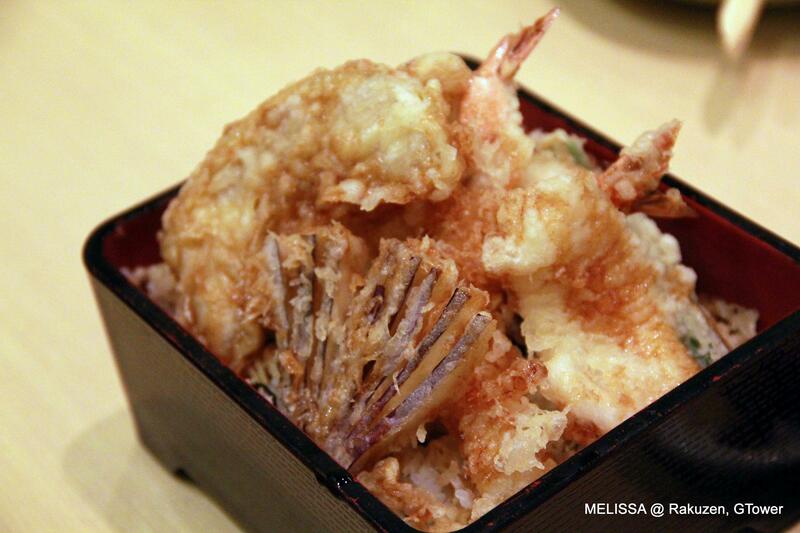 Japanese steamed rice topped with assorted tempura. 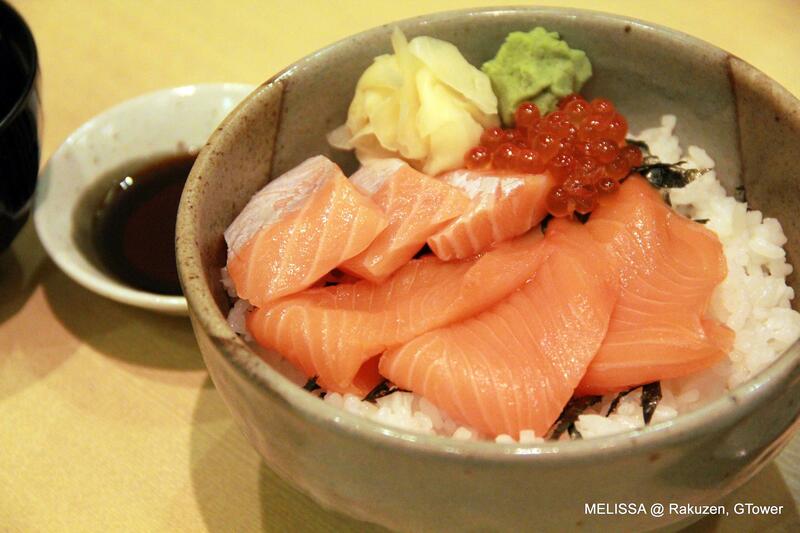 Japanese steamed rice topped with fresh salmon slices. 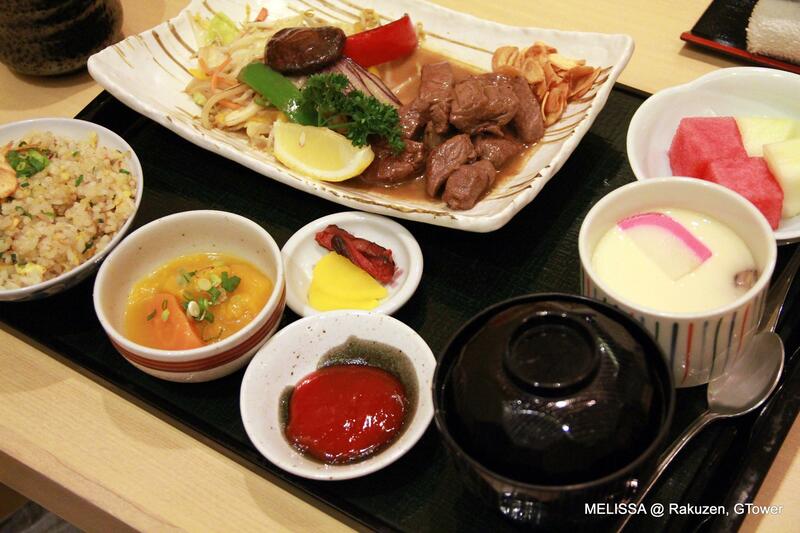 Comes with a bowl of fragrant garlic fried rice, miso soup, steamed pumpkin, teppanyaki beef and some cut fruits. 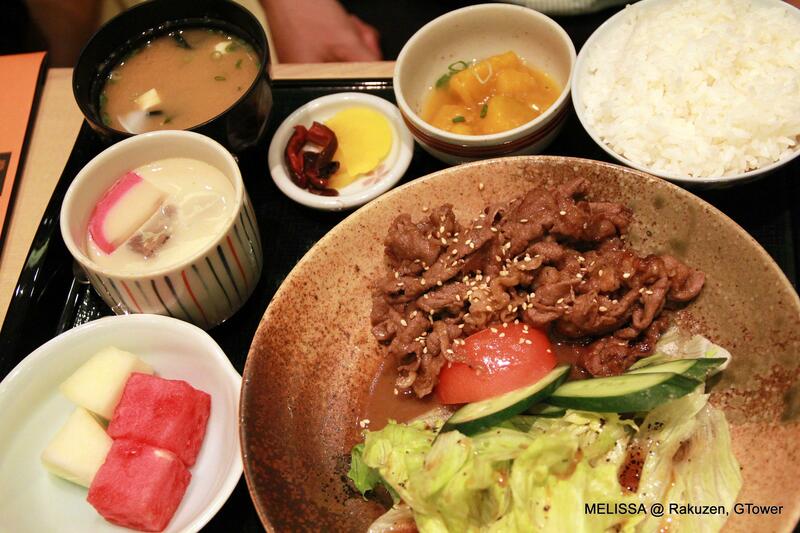 Comes with a bowl steamed Japanese rice, miso soup, steamed pumpkin, beef slices and some cut fruits. The thinly sliced beef were nicely cook. The meat are tender and tasty! wah… Rakuzen neh!!!!! I always go to this one in G Tower for lunch oh. You should try order the a la carte one next time, their salad is superb neh…… Steamboat oso not bad. Their sushi lagi best lor. Baby Sumo – Both of them are under the same roof. Menu also about the same. 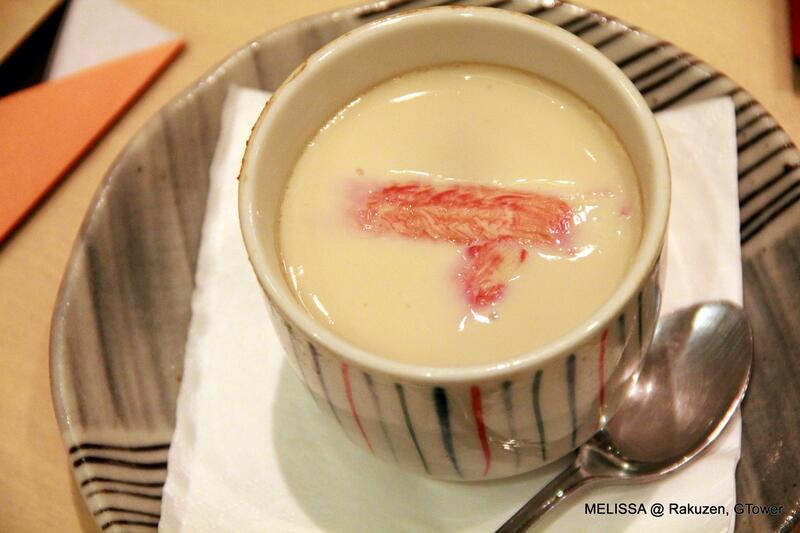 But because Hokkaido Ichiba offers more selection on desserts…therefore my vote goes to Hokkaido! heheheh….